The newest additions to the Alfa Romeo lineup are not just any vehicles, and they are not built in just any plant. 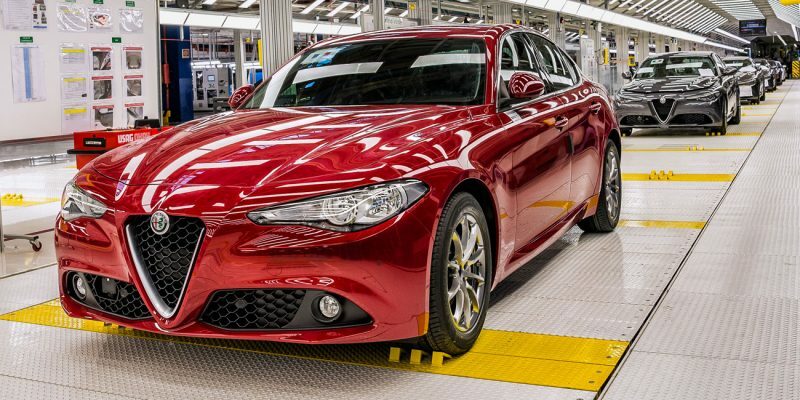 The powerful Giulia sedan and the high-performance Stelvio SUV are currently being built in Alfa Romeo’s state-of-the-art Cassino Assembly Plant, located in central Italy. As dealerships across the country continue to welcome the Giulia and Stelvio SUV to their lots, Alfa Romeo has released a series of videos on the FCA YouTube channel that gives viewers a look inside the technologically advanced plant. The videos showcase employees clad in red and khaki jumpsuits working throughout the facility assembling cars, attending training classes and interacting with colleagues. Some of the employees featured in the video also share personal stories about why they are proud to work for Alfa Romeo. In the video “Premium Culture, Premium Cars,” viewers are treated to idyllic views of the Italian countryside – where the Cassino plant is located – before taking a tour of the high-tech plant and seeing the environmentally friendly assembly process. For other employees, working for Alfa Romeo is a family affair. This multi-generation story is told in the “From Father to Daughter” video. To learn more about the new Giulia and Stelvio, visit the Alfa Romeo website. Jeep® Grand Cherokee Trackhawk: Now you see it … now you don’t!